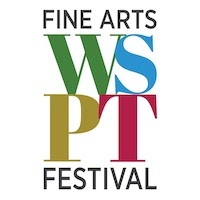 Westport’s Fine Arts Festival is the CT Gold Coast’s biggest summer juried art show, now in its 46th year. Recently ranked 34th in the nation for Fine Arts Festivals, in the last two years of growth, the show has expanded its range of artists, moved back to the central shopping and dining area and enhanced its service and entertainment for the annual attendance of 10,000 patrons. For 2019, continuing to add programming and push for excellence, we are launching an Emerging Artists Program to recognize, highlight and provide exposure for students in the fine arts world. On Friday 19th July we will open the exhibit of Emerging Artist finalists in a dedicated showcase tent and round out their opening night with a reception where one emerging artist will be selected by an esteemed jury of art professionals to receive a scholarship award of $X,000. All finalists will have their work on show in this promoted setting for the duration of the full art show, Saturday-Sunday 20-21 July. We encourage young artists to submit their work provided they have not yet launched a full commercial career, there are no fees to enter or exhibit if selected. All finalists must be present to show their work during the event hours on 19-21 July in Westport CT. All categories of art will be considered. Submission closes 5/31/2019. Please go to Westportdma.com/emerginartists2019 for more information and details of how to enter.